What’s in those 20 minutes? Proof that the editing process is essential to the success of a final film. 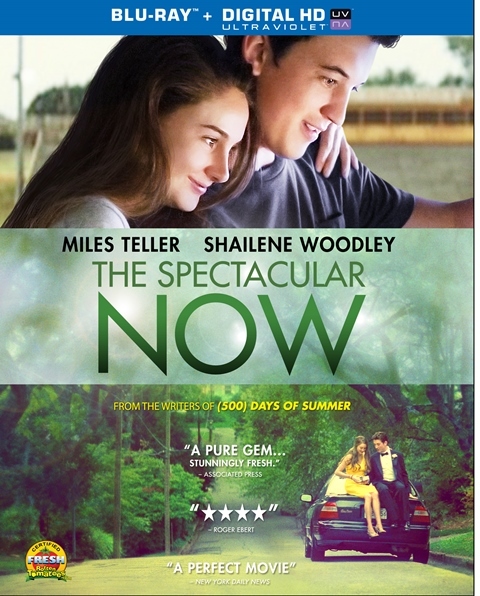 “The Spectacular Now” at 115 minutes with these scenes included would not have been as strong of a film. There are beats that really work and I wish Ponsoldt could have somehow saved the line, delivered by Bob Odenkirk, “You’re a great guy but you don’t have much of a grasp on the idea of consquence,” as it says so much about Sutter (Miles Teller), but most of these scenes are either repetitive or flatly delivered. Shailene Woodley is fantastic in a post-coitus scene in which she talks about her first time but I think it was the right call to cut that scene narratively. It’s also joy to hear someone as passionate about his art as Ponsoldt do an audio track. The guy knows and loves movies. Sutter Keely (Miles Teller), a high school kid with effortless charm and the self-proclaimed “life of the party,” is having the perfect senior year - until he loses both his girlfriend and his part-time job. But when he meets Aimee (Shailene Woodley), the “nice girl” next door, an unlikely romance begins as Sutter and Aimee struggle to overcome their differences and help each other through the many challenges of growing up. “The Spectacular Now” stars Miles Teller, Shailene Woodley, Brie Larson, Jennifer Jason Leigh, Kyle Chandler, and Bob Odenkirk. It was released on Blu-ray and DVD on January 14, 2014. Submitted by HollywoodChicago.com on January 28, 2014 - 12:31pm.